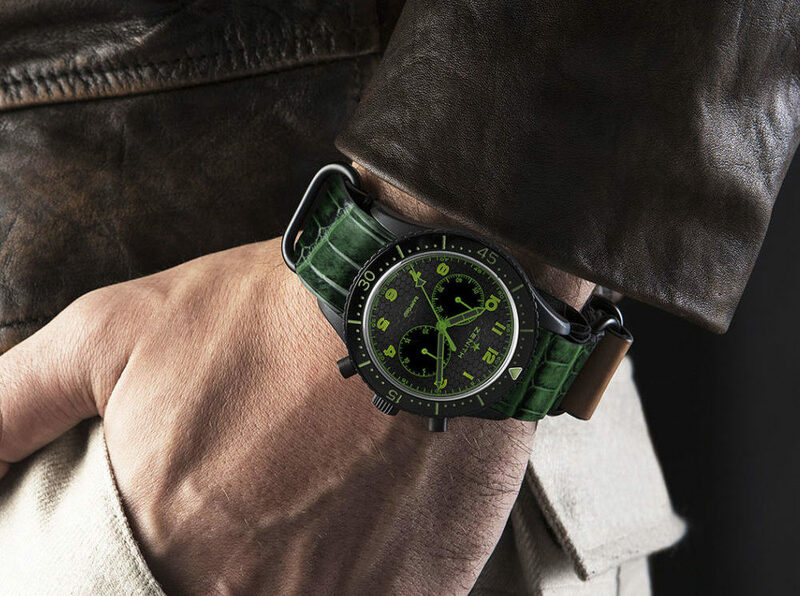 The first collision between Bamford Watch Department and Zenith was the all-black makeover of the Cronometro Tipo CP-2. 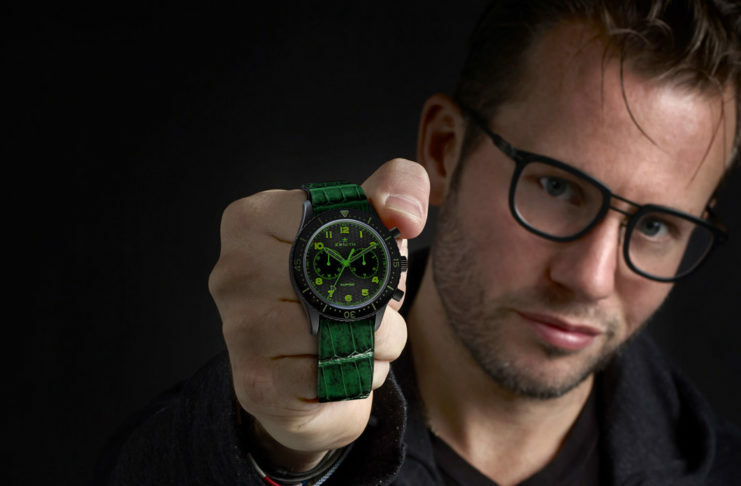 Clad in black PVD treated stainless steel, George Bamford has an eye for transforming the coolest watches into something even cooler. 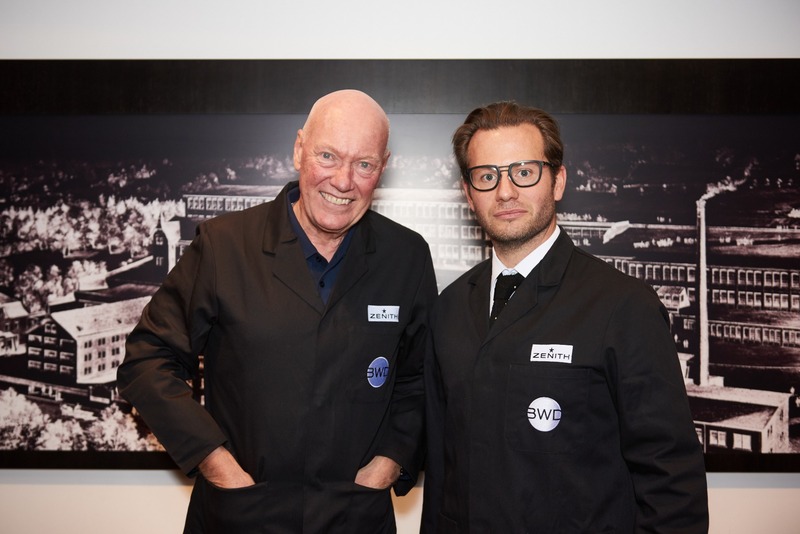 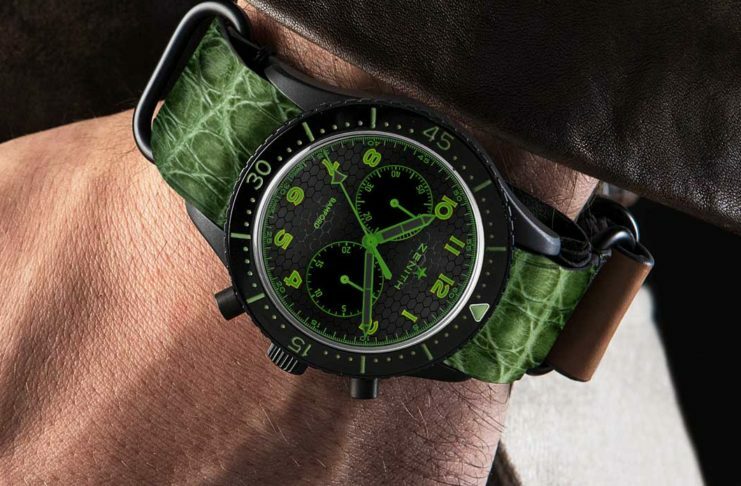 Now in collaboration with Revolution, Bamford Watch Department bring you the same watch with boat load of customization options to create your own version. 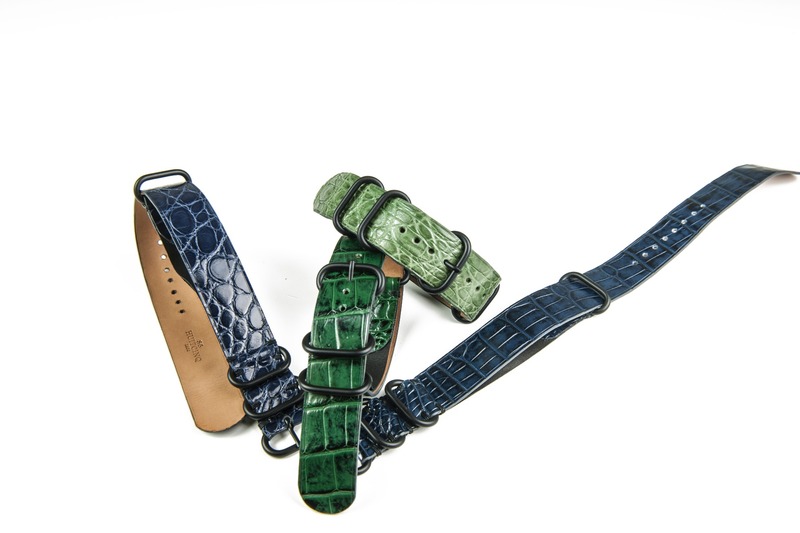 The strap provided with your own Cronometro Tipo CP-2 is handcrafted by Italian leather artisan Huitcinq 1988 and comes in offerings of dark green alligator or olive green yacare caiman leather, stylised as NATO straps.